RumbleTalk has a new online help chat using the RumbleTalk new chat type – expert’s chat. This caters to professionals like advisors and experts. 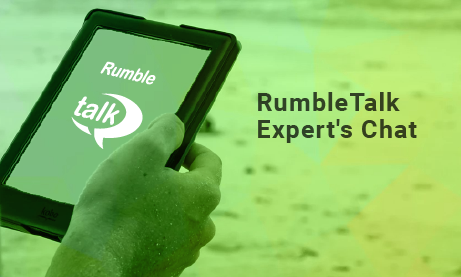 How can you use RumbleTalk’s expert’s chat as an online help chat? Read on to find out how. Expert’s chat is a one-on-one chat via private messages. Instead of using the typical group chat type, expert’s chat lets a professional lend his aid to clients, customers, or his followers. When creating a new account, the default chat is the group chat. When we first launched RumbleTalk, we focused on communities. Now, we have added a new type of chat, especially for professionals. With this new expert’s chat, there is no group chat. Only the admin (professional) will see who are the active users. In addition, a user cannot initiate conversation if the admin is not active. It depends on the chat owner to set the chat as paid chat or not. Paid access chat means that you will have an entrance/subscription fee before anyone can enter your group chat. For more information, read our article about paid access. 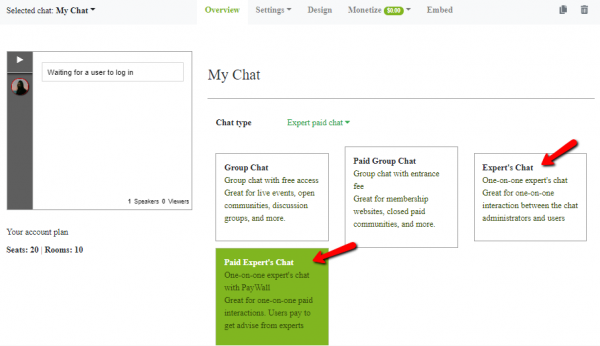 This article focuses on using the expert’s chat as an online help chat. This means that therapists will be able to connect with their clients via RumbleTalk. Make sure you are registered to RumbleTalk and then log in. Both parties should be logged in before you can start chatting. Admin can see all users but the user can see only the admin. Chat – This is the most common form of chatting. This means that you will start messaging each other through texts. This is the simplest, but you can’t hear or see each other. Voice call – This is an audio call. If the client is not comfortable with face-to-face conversation, then he/she can opt for this. Video call – The most in-depth choice of them all. This lets you, as the online therapist, see everything, from facial expressions to mannerisms of your client. This is very helpful for addressing serious topics or heaviest problems. As previously stated, only the admin can see who’s currently active in the chat room. In this section, we will show you what the users see and what the admin sees. What the admin sees – When you log-in as the admin, meaning you’re the professional, you will see the list of active clients in your chat room. You can chat any of them through private messaging. Other users will not see your messages to each other. What the users see – The users can only see the private message chat if the admin is active. If not, they cannot initiate conversation. They can only wait for the admin to be active to chat with him/her. Now, you can use RumbleTalk’s expert chat for online therapy! The instructions are very easy and simple to follow. Anyone can do it. If you’re having problems with RumbleTalk, please do not hesitate to contact us.